This article explains the current deflation created by the interplay between the Federal Reserve and mortgage lenders, and how it affects the homeowners and agents scrabbling in its wake. Consider a real estate syndicator who co-owns and operates apartment projects he acquired in the mid-‘90s. He anticipates he will syndicate additional apartment projects since he sees the current convergence of low prices and low interest rates as a developing opportunity to once again acquire properties with respectable net operating incomes (NOIs). The syndicator locates an apartment project in an urban neighborhood, close to the local financial and cultural center, shopping, professional employment and government offices. 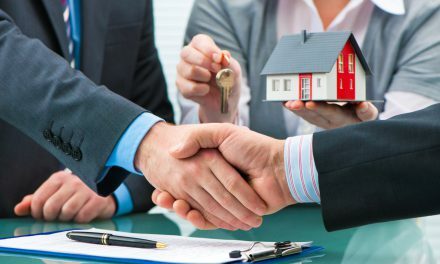 He senses the close proximity of the property’s location to employment opportunities and personal services will attract better-educated, highly-skilled and higher-earning individuals and families and be his best chance of reaping handsome earnings on cash investments once the real estate market recovers. Thus, the syndicator believes cash invested in an apartment project in the near future will provide an immediate annual return on his investment, commonly called cash-on-cash or spendable income, which will increase as rents go up in the future. And, as rents increase as they most certainly will if only at the rate of consumer inflation, the market price of the apartment project will also go up. a recovery-induced profit as jobs return to produce more tenants. The syndicator understands market momentum buildup during the last months of a recovery period is when hapless late-coming buyers will be looking to collect on the mythical ever-rising profits as the market peaks, as occurred in late 2005, a function of the greater fool theory. 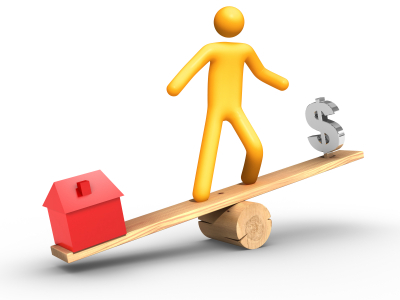 Since the syndicator has an understanding of the economics driving the viability of a real estate investment, he is aware that if the current downward trend in property prices continues for a year or two, his investors’ cash will have greater purchasing power in the future — more units of equal quality for the same amount of dollars. However, if he postpones acquiring property and waits too long, the present favorable conditions and his chance for a deleveraged back-of-the-market price, with its built-in profit produced by the current liquidity (financial) crisis, will disappear. 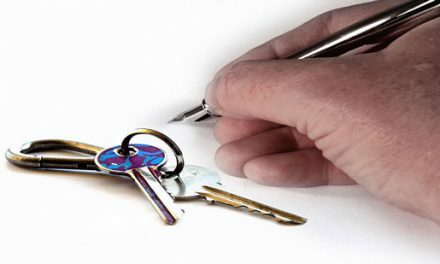 enter into a purchase agreement to acquire an apartment project now, and forego both the risk of losing current pricing and the possible greater return of waiting for the purchasing power of his investors’ cash to grow? The story behind the ascendancy of the cash as king reality of the US economy in this combined recession and liquidity crisis and its power over the real estate market has roots (as do most of the nation’s current economic troubles) in the causes behind the mortgage meltdown of the mid-2000s. The greater fool theory saw the mirage of ever more buyers willing to pay seemingly ever-increasing prices for real estate. When these five-year ARM time bombs exploded (and they are doing so as we speak, with at least a year or so to go before they cease), the blast reverberated through the real estate market and the value of real estate — the security for the mortgages — began to plummet. Bankers who originated or funded mortgages are being forced to buy back billions of dollars worth of non-conforming toxic mortgage debt at full face value from the secondary mortgage market – Fannie Mae, Freddie Mac and private label mortgage-backed bond (MBB) pools. Worse yet, most of these millions of mortgages are secured by homes worth less than what is owed on the corresponding mortgages. Thus, banks are using their cash to buy back junk mortgages instead of funding new mortgages. During the initial chaos of the financial crisis, bank auditors saw the growing disparity between the dollar amount of deposits held by banks and the actual dollar value of the assets supporting the deposits — namely, mortgage paper. 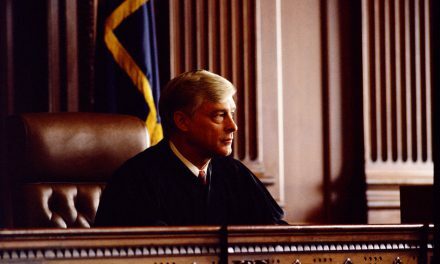 In an attempt to force insolvent banks from the playing field and clean up the mess sooner than later, bank regulators called upon all banks to adjust their cost basis and mark-to-market the book value of the mortgages they held, i.e., at valuations supported by the market price of the properties which secured them. It quickly became clear that forcing banks to do so, en masse, was creating an industry-wide solvency problem. Congress stepped in and allowed the banks to keep the loans on their books at mark-to-management loan values — that is, at values set by bank management, not the secondary mortgage market price. Unsurprisingly, this resulted in little change to the book value of mortgages held by banks. It did, however, serve to neatly keep the banks solvent — at least superficially on paper. The Fed, charged with keeping the economy on an even keel (job stability and limited inflation) while the nation navigated the choppy waters of the Great Recession, dropped the discount rate (the interest rate the Fed charges banks to meet their deposit obligations) to effectively 0%. The too-big-to-fail banks holding mortgages secured by underwater single family residences (SFRs) are thus able to borrow money for free and earn massive amounts of profits equal to the entire amount of interest they charge homeowners on their mortgages. Why allow banks this great leeway now? The Fed is hoping their free-money policy will create enough bank operating profits annually through the loans banks make to offset the massive losses on mortgage loans which will eventually have to be reported and cleared from lenders’ books. Lenders have done the math; they are fully aware of the monetary value of completing a loan modification or short sale on a loan, versus foreclosing or just doing nothing, known as the net present value (NPV) test. This protracted face-off between the Fed and the banks has repercussions: the Fed’s interest in keeping banks solvent — as banks are the sole effective conduit for getting dollars from the Fed to businesses, real estate owners and consumers — exposes homeowners to continued extend-and-pretend-type modifications, long waits on short sale processing and general neglect from lenders. While the Fed props up banks, negative equity ravages homeowners — and neither the Fed nor the administration will do anything substantial to put an end this negative equity epidemic (which they could do instantly if they had no reason for supporting the banking system) since doing so will upset the mark-to-management accounting which the too-big-to-fail banks rely on to maintain their already-tremulous grasp on solvency. Thus, lenders will only process as many foreclosures or short sales as necessary from time to time to offset their profits and avoid income taxes on those profits. Thus, delinquencies, short sales, deeds-in-lieu, defaults and foreclosures will continue, albeit at a painfully slow pace. This, in turn, extends the time before economic conditions will allow jobs and an organic real estate recovery to take hold. At the same time, as more short sales and foreclosures occur, more properties will be put on the market, driving prices ever lower, and causing the value of neighboring properties to decrease. This decrease triggers ever more negative equity, causing more delinquencies and eventual foreclosures, and so on — a self-perpetuating vicious spiral of devaluation stemming from the government’s refusal to force banks to use mark-to-market values and clean up their collective acts. This downward re-pricing of real estate has been occurring since early 2006 when the housing bubble began to implode into the Great Recession. In reaction to a rising awareness in the fallacy of the greater fool phenomenon, cash became extremely valuable, and able to purchase more house (twice as much in most cases in California) than it was able to prior to the dropping of housing prices. This doubling of the purchasing power of money in relation to asset prices (stocks and real estate) is known as asset deflation. As the Great Recession deepened, the purchasing power of cash increased. Thus, prospective homebuyers and investors with cash on hand could buy more property with their cash on a year-to-year basis, increasing asset price deflation.